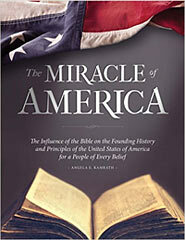 The American Heritage Education Foundation, Inc. (AHEF) is a non-profit, non-partisan organization in Houston, Texas, dedicated to the understanding and teaching of America's factual and philosophical heritage to promote constructive citizenship and Freedom, Unity, Progress, and Responsibility (FUPR™) among students and citizens. AHEF offers free teaching resources and workshops. AHEF has been a trusted organization for over 20 years. For more information about AHEF and its resources, please visit www.americanheritage.org.